John Heath & Company was established in 1998 to provide specialized services to the worldwide insurance and reinsurance communities. From our offices in Sarasota, Florida; Quakertown, Pennsylvania; and Scottsdale, Arizona, our personnel are well positioned to provide prompt, efficient response to our clients' specific needs anywhere in the world. We regularly perform audits and reviews in the United States, Canada, and the Caribbean and have carried out assignments in the UK, Europe, and South America. In July 2010, John Heath & Company was acquired by Randall and Quilter Investment Holdings Plc. John Heath & Company operates according to basic values that will never be compromised. Confidentiality – We are an independent company. Each client is assured complete confidentiality. We conduct all services with the utmost discretion and conscientiously avoid any conflict of interest. Custom, Concerned Service – We fully appreciate that each client and each assignment is unique. We specifically tailor our services to meet the requirements of our clients by clarifying the objective in advance and completing the project with meticulous attention to detail. Expertise – John Heath & Company has a dedicated staff of insurance professionals who provide you with a pool of talent and experience to assure your best possible outcome in every situation. Our personnel have backgrounds in both the London Property/Casualty and the U.S. domestic insurance markets. In addition to their extensive experience, many of our personnel have also obtained various professional designations including the ACII, CPCU, and CLU. 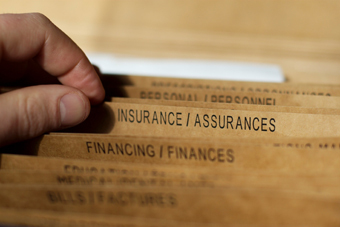 Our claims managers are also licensed insurance adjusters.